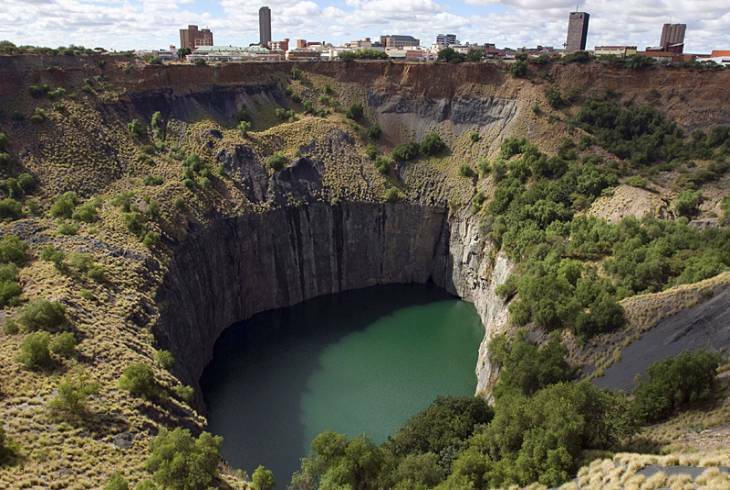 The city of Kimberley, Capital of South Africas Northern Cape Province, is known worldwide as the City of Diamonds. This is where the De Beers family started out their empire. This is where, within twelve months of the discovery of diamonds at Colesberg Kopje in 1871, 50000 fortune hunters crowded into the first little shantytown of New Rush that later became known as Kimberley. You will no longer find a Kopje here, instead you will find the biggest hole ever dug with pick and shovel, for the kopje soon became a thing of the past after the fervent digging of thousands of miners. Kimberley is now a modern city and the diamond capital of the world. The city played an important part during the Anglo-Boer Wars, and the citys museums are a must to the visitor. Included in these has to be the Kimberley Mine Museum Village and Big Hole, where the visitor will find many original and reconstructed buildings that demonstrate what life was like in a boom town more than a century ago. Kimberley overview. Kimberley Accommodation and Information.